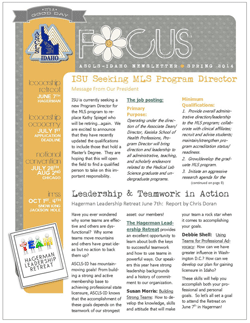 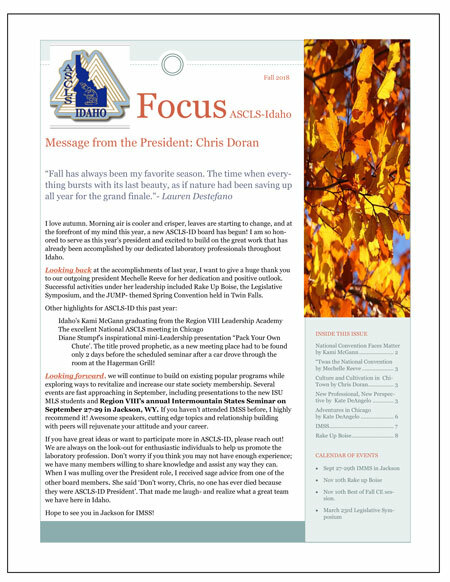 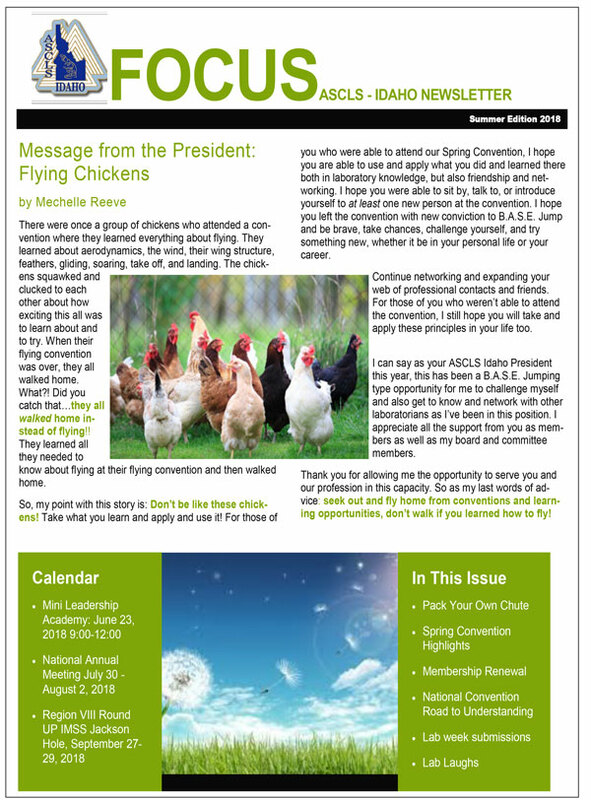 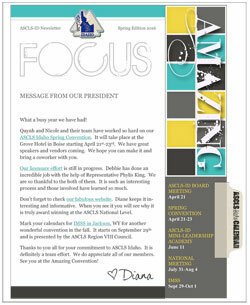 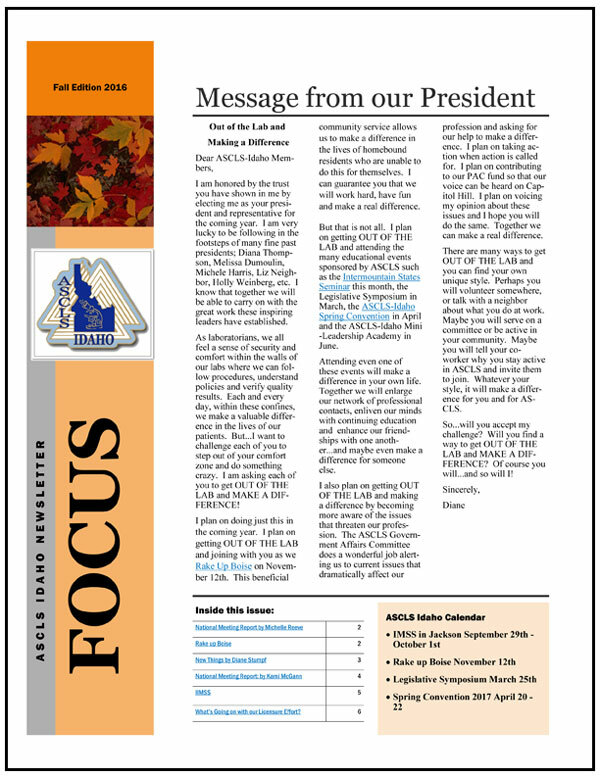 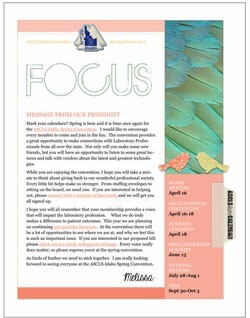 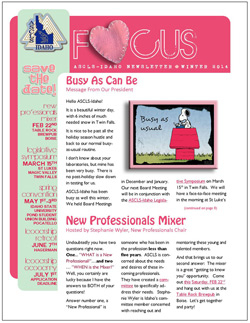 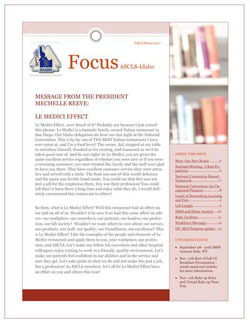 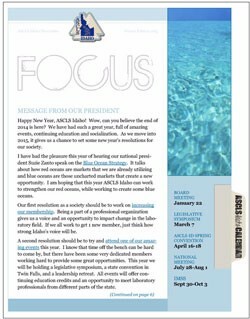 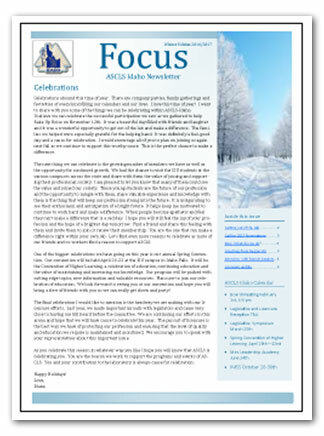 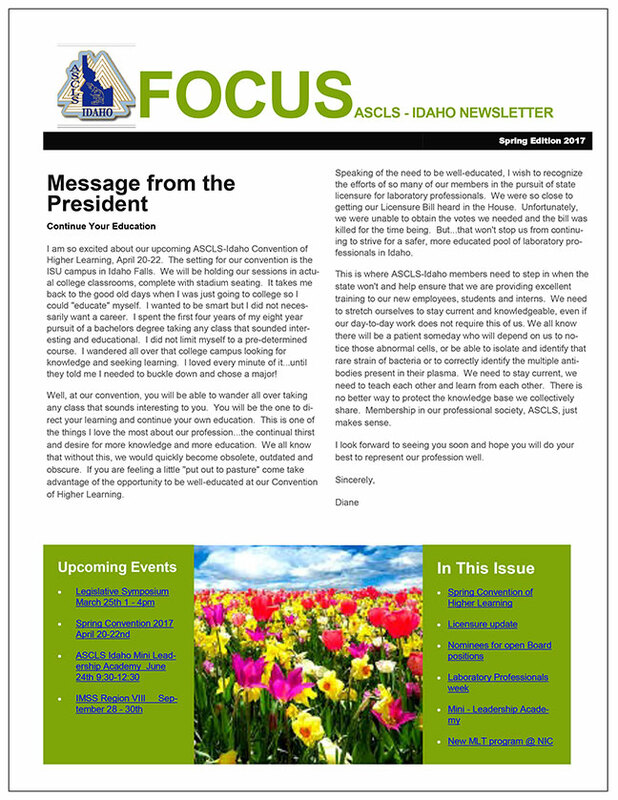 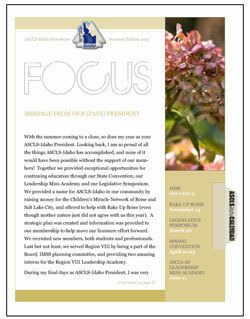 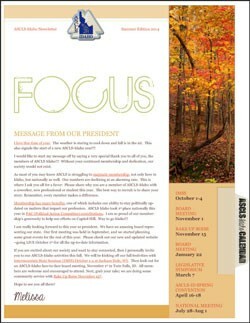 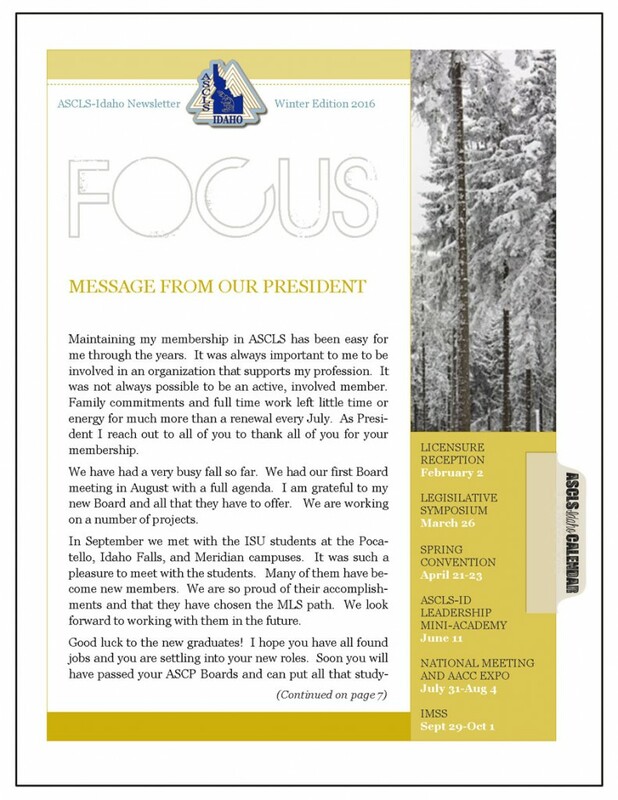 The ASCLS-Idaho FOCUS is the official newsletter for ASCLS-Idaho. 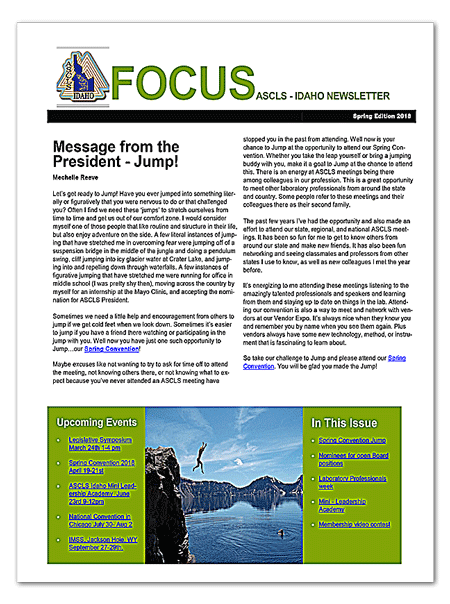 It is published quarterly and is made available to all ASCLS-Idaho members in electronic format. 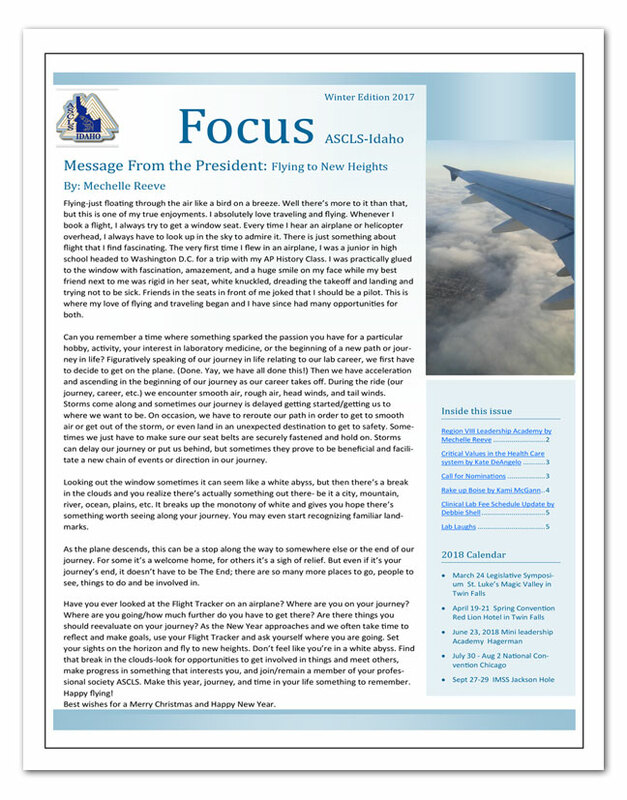 Rights to edit for content and length of material are retained by ASCLS-Idaho. 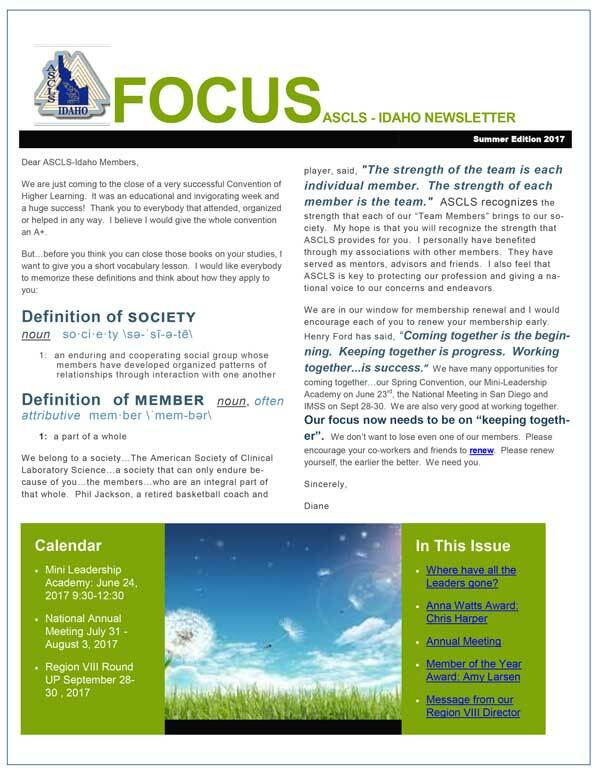 All ASCLS-Idaho members are invited to submit articles for publication.